The Government is investing $150,000 into stimulating demand for geothermal heat resources in the Bay of Plenty region. Despite the cost of renewable geothermal energy being comparatively cheaper than gas and coal, currently only 5 per cent of geothermal energy is being used in New Zealand. 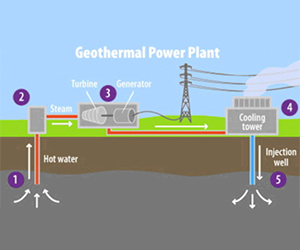 If used for high value products, geothermal heat could give the local and national economy a competitive edge, growing industries in timber drying, aquaculture/tourism, horticulture and milk drying. The investment decision arose out of the the Start 2 Steam Workshop held in Rotorua in May earlier this year. The investment will be used for a Geothermal Business Development Lead to support work in stimulating demand for geothermal heat resources, including attracting investment from industry and promoting the value proposition and commercial opportunities.